The lawyer of the only Pakistani Christian woman to be given the death penalty for alleged blasphemy met her in prison last week, reporting that she is safe and in good health. The final appeal for Aasiya Noreen, commonly known as Asia Bibi, is pending before Pakistan’s top court, after the Lahore High Court turned down her appeal last October on technical grounds. The mother of five has been in prison since the summer of 2009, when she was arrested on allegations of insulting the prophet of Islam. Defense lawyer Saif-ul-Malook told World Watch Monitor that he was accompanied by Asia Bibi’s husband Ashiq Masih on his 21 Oct. visit in the Multan Women’s Prison. Through Malook, a prominent attorney and expert in Islamic law, Noreen had been allowed to take the final appeal against her death penalty to the Supreme Court in Islamabad in July 2015. Malook told World Watch Monitor that since early October several foreign news agencies, including one from the Vatican, contacted him over news that Noreen’s health was worsening. “After this I decided to visit the prison and personally meet Asia, to ascertain if the news was correct,” he said. “Only family of the inmate or the lawyer representing the convict can visit the chamber, so Ashiq and I went together to see her. Inmates on death row are separated and locked into an 8 by 10 feet chamber called a death cell,” Malook said. “Asia has totally denied she ever suffered any serious illness since 2009 in prison. She became happy when I told her that she would soon be released,” her lawyer said. Malook stated that the deputy-superintendent of police was also present during his meeting with Noreen. “There are no men in the prison, and one extra female police officer is deployed outside her chamber so that her security could be ensured,” he said. Masih confirmed to World Watch Monitor that he had visited his wife with Malook, and that none of his daughters accompanied them on this visit. He could see “a glimmer of hope” on Noreen’s face, her husband said. Malook’s account of Noreen’s health contrasts with reports, which began to surface a year ago, that she had become seriously ill. Since that time, hard evidence or on-the-record testimony about her condition has been scarce, and what information has emerged has been inconistent. In June of this year, reports again appeared with claims Noreen was vomiting blood and was almost too weak to walk. Few of the reports contained first-hand information or original reporting. Several, including a 30 June item posted by the UK-based Dailymail.com, based their reports on an item posted on a website called The Global Dispatch. The Global Dispatch, in turn, had relied upon a single source: a website called MasLibres.org, which is published by HatzeOir.org, a Madrid-based not-for-profit organization that says it is devoted to human-rights advocacy. Though MasLibres has devoted significant attention to Noreen’s case, the website currently does not contain any report that Noreen is in ill health. It has earlier hosted an advocacy visit to Europe by Ashiq Masih. 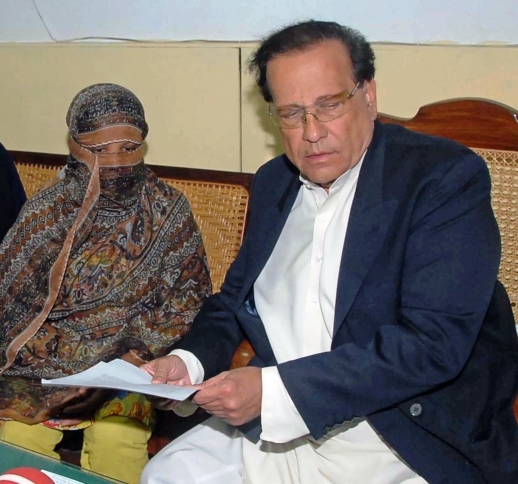 “They found Asia Bibi in good health and state of mind,” the article reported. Yet there also are indications all is not well inside Multan Jail. Open Doors International, a charity that supports Christians who are under pressure because of their faith, said this month that “people close to the case” have told church contacts in Pakistan that the prison is an overcrowded, unsanitary “hell hole,” and that Noreen is in poor health. Malook had previously served as the prosecution lawyer in the murder case of the former Punjab Governor Salmaan Taseer, who was assassinated after visiting Asia Bibi in prison and supporting her case. The governor had called Pakistan’s blasphemy statutes “black laws,” calling for their reform and supporting a presidential pardon for Asia Bibi. Taseer was shot and killed by Mumtaz Qadri, a 26-year-old member of his own security detail, in Pakistan’s capital, Islamabad, on 4 January, 2011. Qadri shot the governor 27 times without being intercepted by other police officers present at the crime scene. Then he threw down his AK-47 sub-machine gun and reportedly pleaded to be arrested so that he could explain his intentions, to punish Taseer for opposing Asia Bibi’s blasphemy conviction. Because of death threats from hardliners, no lawyer would agree to represent Qadri’s prosecution. After months of no representation, Malook took up the case. When the trial judge, Pervez Ali Shah, convicted Qadri and sentenced him to death in October 2011, the judge was threatened and finally sent to Saudi Arabia for fear of his life. 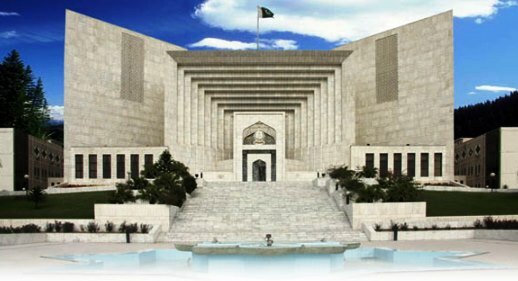 However a recent Supreme Court landmark decision has upheld the judgement that Qadri had no legal justification to take the law into his own hands and reconfirmed his death sentence. This vindicated Malook’s bold prosecution of the case. However, it is this verdict that has provoked the backlash against Aasiya Noreen by extremists. Malook said the Supreme Court hearing in Noreen’s case should begin sometime in January or February 2016. He remains “quite hopeful” she will be acquitted and released, he said. Citing “insufficient evidence” against her, he has not found sufficient legal grounds against her under either civil or Islamic law.